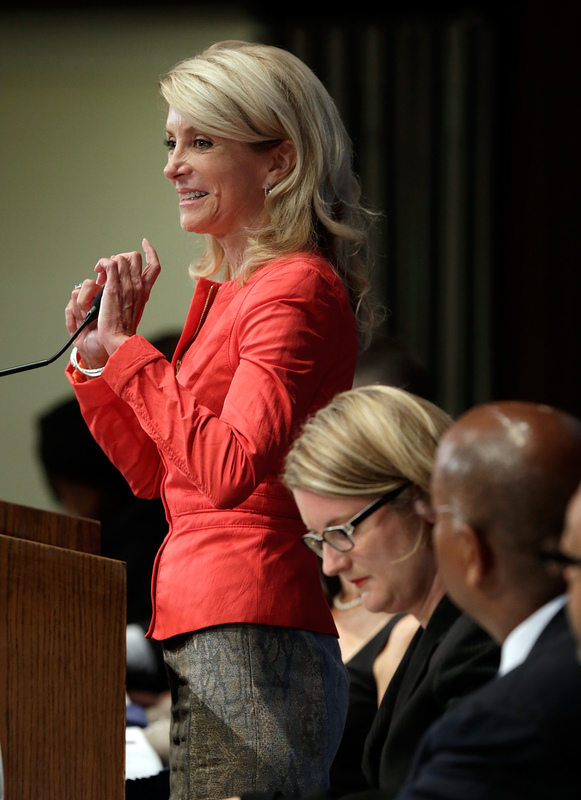 Texas State Senator Wendy Davis (D), who came to national attention after her 11-hour filibuster of restrictive abortion legislation went viral, spoke Monday at a National Press Club luncheon to outline her future political plans. So, what's next for the state senator slash our girl crush of the year? Davis says she will run for re-election as a state senator — that, or campaign for governor of Texas. Having decided not to throw her hat into the ring for lieutenant governor, those are the only two options Davis is considering, and she's working hard to make a decision right now. “She’s got an incredible opportunity to take Texas to another level and I would like to see her take that step,” said Harris County Sheriff Adrian Garcia. “But ultimately that’s her decision and she’s got to work through that process." Davis is seeking to portray Texas Republicans as being driven by party politics and to cast herself as above them. During her speech Monday, she said she has worked on issues that aren't considered traditionally Democratic ones, like transportation and water funding. "People do feel we need a change from the very fractured, very partisan leadership we’re seeing in Texas right now," she said. Davis didn't say when she will make her decision, but Matt Angle, a senior strategist for the Davis campaign, said he expects her to do so before Labor Day. Consider our fingers crossed.